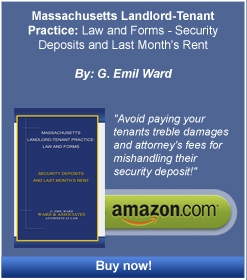 Breach Of Purchase and Sale Agreement For Real Estate - Boston Real Estate Attorney. Eviction Law. Zoning and Variances. Housing Discrimination. When the price of real estate rises rapidly and desirable properties become scarce, sellers may want to breach existing purchase and sale agreements in order to take advantage of a higher price. Sometimes sellers breach existing agreements simply because they have had a change of heart and no longer wish to go forward with the sale to the contract buyer. Needless to say, this usually causes litigation by the first buyer who signed the contract of sale. Once hired, Ward & Associates immediately takes steps to bar the sale to the second buyer, if the sale has not yet been completed. Or, we take steps to retrieve the property from the second buyer if the process has gone that far. The first buyer generally has the right to force the seller to complete the sale to him or her. The buyer may also seek money damages from the seller in a lawsuit against the seller and perhaps from the second buyer. In some circumstances, the second buyer can be forced to turn over the property to the legitimate buyer. Likewise, where a financially capable buyer refuses to complete the purchase of a property after signing the contract, the seller generally has a right to force the buyer to complete the purchase. Please contact us for a consultation regarding legal claims you may have if you are involved in either of these situations.